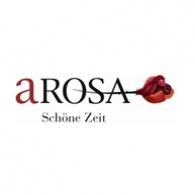 All A-Rosa Cruises tours, river cruises, expedition cruises, and adventure trips. Find the best guided trips and expert planned vacation and holiday packages. Average rating of 5.0 for all A-Rosa Cruises trips. Visit Bratislava, often called the "Beauty on the Danube"
See the old Cathedral city, the World famous trade fairs. Enjoy the history of more than 2000 years old Roman colony. Points of interest are the St Martin and St Stephen cathedrals, the castle of Mainz and the Gutenberg Museum.